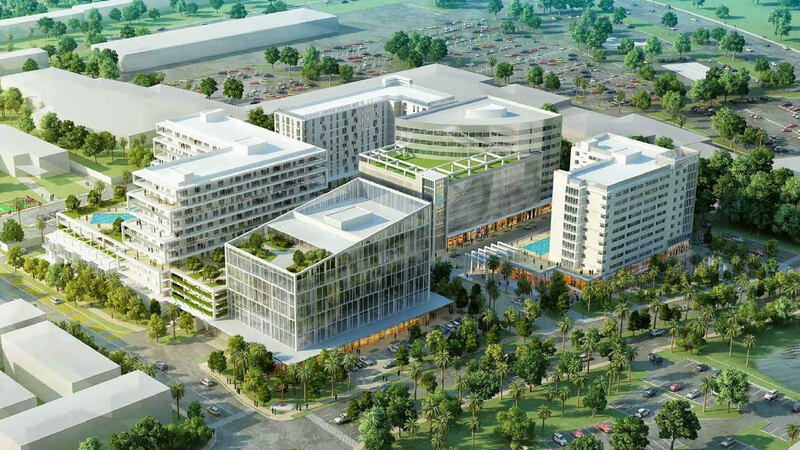 Aventura ParkSquare has reservations for 35% of 131 planned units in just a few months, the developer said. Victor Ballestas told The Real Deal that many buyers are existing Aventura residents who are looking to buy units for their children. Sales began in March. Units at the project are smaller than at other nearby projects, resulting in lower prices. Condos are being sold in the range of $400,000 to $800,000. While ParkSquare will have a residential component, the majority of the mixed-use project will be dedicated to other uses, including hotel, retail and office space. Ice Box Cafe of Miami Beach has signed on as a tenant. Groundbreaking is expected this summer. Great news and this one of my top favorite projects. This is a very deceptive picture….in the area where its all green with nice trees is actually promenade shoppes. All you see from every window is ugly roof with air conditioners. I use to walk through those woods and find garden snakes as a kid.